FHCA recently presented a check for $41,400 to members whose centers were impacted by Hurricane Michael. 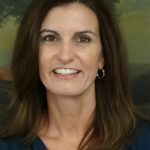 The funds were spread among 138 caregivers in the Panhandle who applied for financial assistance to aid in their recovery efforts. Nurses, certified nursing assistants, social workers, dietary, housekeeping, maintenance and laundry staff, along with employees working in administration in 10 member centers were among those applying for aid. “The members who were impacted along the Panhandle have dedicated their lives to caring for our state’s frailest elders. 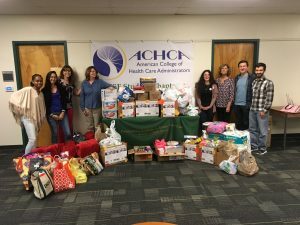 We were so thankful and humbled by the generosity of so many, which allowed us to help these many caregivers during their time of need,” said Emmett Reed, FHCA Executive Director. Chief Financial Officer Jimmy Patronis, a native Floridian who was raised in Panama City, was on hand to applaud these members and their employees. Their bravery and quick thinking during the storm kept residents and staff safe and out of harm’s way. 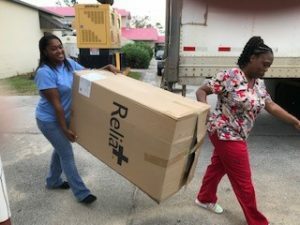 It’s been just over three months since Hurricane Michael made landfall along the Florida Panhandle, and FHCA’s member nursing centers in Panama City, Blountstown, Marianna and the surrounding towns are still working to recover. Seven nursing centers remain closed from storm damage, and the timeline for reopening has yet to be known. FHCA wants to thank all those who donated to our Hurricane Michael Relief Fund to assist us in these efforts. 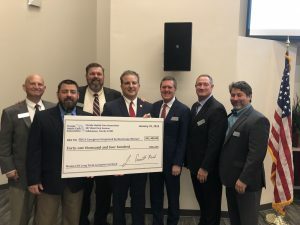 Special thanks to the Alabama Nursing Home Association, which made a significant cash contribution, along with Andrew Weisman of NuVision Management. 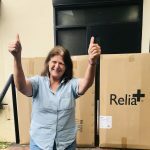 Associate members Drive Medical and TENA also directly helped caregivers and their families by donating 100 mattresses and hundreds of personal hygiene products that are often taken for granted until a crisis occurs. 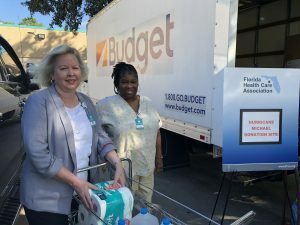 The financial donations, along with the thousands of supplies that were given by friends, health care associations and members from Florida and across the country, has helped make an impact in the lives of those affected by this devastating storm. To see photos from FHCA’s Hurricane Relief efforts, click here.